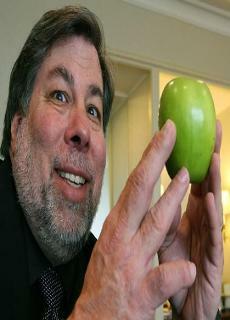 Stephen Wozniak holding the forbidden fruit (the apple) in reverence. My comment about the machines winning the war is partly a joke, but we’ve accidentally already put so much in place that we can’t get rid of from our lives. Once we have machines doing our high-level thinking, there’s so little need for ourselves and you can’t ever undo it - you can never turn them off.